Back in December 2012 I started training for my second marathon. I’d done well on my marathon debut with a time of 3 hours 12 minutes so knew I needed to push myself for a new PB. So I put myself together a 16 week training schedule and got stuck in! Unfortunately by the end of week 1 I was exhausted. I remember feeling like I’d hit the wall on a short run home of work and struggling to make the last mile or two. Within a couple of weeks I had some lateral hip pain and by around week 6 an aching hamstring that I was trying to ignore. I felt it all day at work but still opted to run home carrying my usual heavy work bag. It lingered the next day but, undeterred I still pushed through a 10 mile tempo run. I didn’t modify my plan at all, I didn’t slow down or take a rest day or cross-train. Instead I pushed through this tempo run and by the time I finished it was painful to walk. This was the start of my proximal hamstring tendinopathy, an injury that lasted months and cost me a place in 3 key races. From the first week of training to that last tempo run my body was trying to tell me I was working too hard, if only I’d listened! My story is probably a familiar one for anyone seeing runners in clinic. How often have you heard the phrase, “I was doing really well, until…. “? With effective athlete monitoring we can help runners to listen to their body, to learn their own signs of overtraining or injury and to know when to take action. We do this by monitoring both the athlete’s training load and their response to it. Click on the image below to download your free athlete monitoring sheet and join our mailing list. It contains instructions for the athlete and can be modified to suit their needs. With runners we typically monitor training volume, frequency, intensity and type. Tim describes internal training load is the athletes ‘physiological or perceptual response‘ to training which may include rate of perceived exertion (RPE – effort scored on a scale where 10 is maximal) and heart rate. A simple athlete monitoring method that’s been used for years with runners is the 10% rule. This suggests our total weekly training volume (typically miles or kilometres) doesn’t increase by more than 10% per week. So one way of monitoring a runner’s external training load is monitor changes in total weekly volume. Let’s do that looking at my weekly mileage leading up to the start of my marathon training programme. During the largest increase my weekly mileage shot up from 14 miles per week to 34! Oops. a 10% increase would take me from 14 to 15.4 but increasing to 34 is more than double. From Tim’s research we’re aiming for an ACWR of approximately 0.8 to 1.3 so 2.3 far too high! This Runner’s World article includes a simple ACWR calculator and makes a good point about the 10% rule – if you increase your mileage by 10% per week for 4 weeks your ACWR is 1.15 and sits within the ‘sweet spot’. Even a small amount of monitoring would have shown this rapid change in external training load. Training error like this is thought to be responsible for as much as 60-70% of running injuries. Assessing internal training load would have shown how I was struggling to cope with this rapid change. One potential measure RPE, measures perceived effort which would certainly have been high during that 34 mile training week, especially towards the end. A clever approach from this research is you can combine external and internal training load together to form ‘Arbitrary Units‘ which monitor both. As we touched on in last week’s blog RPE can also be used an indication of training intensity. To calculate these Arbitrary Units (AU) we multiply training volume (in minutes) by average RPE score for the session e.g 100 minutes x RPE score of 4 = 400AU. Change in these units can also be monitored using the 10% rule or ACWR (above). Beyond standard measures of external and internal training load it’s important to monitor how the athlete is feeling, any aches and pains and their energy levels and mental wellbeing. With our training we’re trying to strike a balance between fitness and fatigue and these can all be areas where signs of fatigue will emerge. Such subjective measures have been found to be responsive to training-induced changes and are useful for athlete monitoring. For more on this see this excellent review by Saw et al. (2016). Everybody hurts. Not only a classic REM song but also a simple truth for most athletes training for an event. Most people will have some pain at some points during training. The challenge is telling a niggle from an injury and this isn’t easy. The athlete monitoring form (that you can download here) contains a body chart for people to record any noticeable aches and pains each week. As a general rule it is consistent symptoms that are more of a concern. Typically a ‘niggle’ is quite transient, they may be there for a training session or two but often disappear without need for treatment. Consistent symptoms that linger or are there frequently through multiple days or training sessions are more of a concern and can be a sign of excess training load. Also aches and pains that are present outside of sport with simple daily activities or that present with swelling, locking, giving way numbness or any other usual signs should be assessed in more detail. Filling out a weekly body chart helps to spot any symptoms that seem to be recurring week on week. A little symptom monitoring on my part would have spotted a lingering lateral hip pain and an aching hamstring that was sore with daily activity. With niggles being common place during marathon training it’s very easy to ignore these symptoms. During peak training we’re likely to feel tired at times, this is normal but it’s important to monitor energy levels and act when you’re struggling. Monitoring sleep and recovery is important too so we’ve included a question about energy levels and sleep within our athlete monitoring form. If an athlete is low in energy they can respond by modifying training, focussing on recovery and quality sleep or improving their ‘fuelling’ through their diet. Recent research highlights how important sleep is for athletes and that loss of sleep may increase injury risk and impair performance (Simpson et al. 2017). The simple question of “how are you?” can be a really enlightening one if answered honestly. During my training the honest answer would have been, “knackered!”. It can also help to explore other aspects of life like work or home situation. In my case we moved house in December just prior too marathon training starting. I was working full time, trying to renovate our house and squeeze in 4 or 5 runs a week! Lots of reasons to prioritise sleep and recovery and modify training to a more manageable level. Cold or flu symptoms and changes in mood and mental health can also be a signs of over-training. A stressed, grumpy athlete may be an overworked one! A recent review found that mental fatigue impairs endurance performance (Van Cutsem et al. 2017). They also reported that mental fatigue may lead to a higher than normal perception of effort so may result in an increase in RPE scores from training. Our key subjective and objective findings can form patient specific tests to monitor response to training. This may include some of our capacity tests such as run tolerance, strength/endurance tests or ROM assessment. For example we could monitor reps to fatigue with single leg bridge if you felt posterior chain strength/ endurance was key to that patient. We can establish a baseline (e.g. 25 reps each side) and if it drops significantly below that level (typically 5 reps or more) this can be a sign of fatigue. In addition you may modify what aspects of external training load you monitor depending on your patient, for example hamstring injury has been associated with change in high speed running load (Duhig et al. 2016) so this would be an important aspect to monitor following a hamstring tear. Symptom tests can be useful too as an indication of whether the previously injured area is showing signs of overload or aggravation. This could be tendon load tests e.g. single leg hop for achilles or provocative movements that have been painful for the patient in the past e.g. stair descent in patellofemoral pain. Closing thoughts: While acute: chronic workload ratio and the above tests and measures are all helpful there is no magic formula for injury prevention in athletes. Each individual will be different and we need to tailor our approach to their needs and help them modify training based on all the information at hand. With time and practice you and the athlete can find their ‘sweet spot’ and recognise when they can push harder and when they need more recovery. This can lead to lower injury risk and better performance, win, win!! 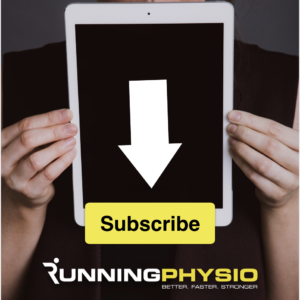 If you’d like to hear more from us check out this free podcast with David Pope on assessing running capacity and join us on our Facebook Page.